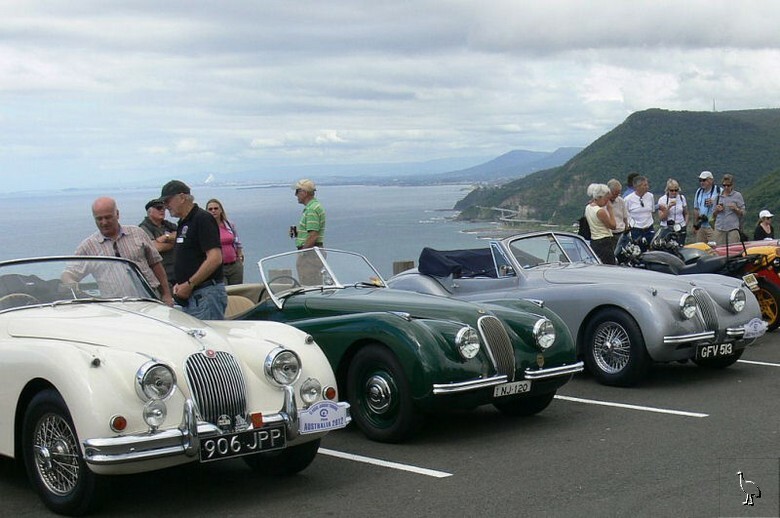 We went for a short ride together to Stanwell Tops, and, not entirely unforeseen, found a touring group of Jaguar drivers. 20 owners in England loaded their cars into containers, 3 per container, and shipped the lot to Australia. Four weeks touring NSW, Vic, Tassie and S.Aust. and then put cars back into containers for return voyage. They have been joined by some Aussie owners along for the Tour. They also have a service vehicle and a luggage van accompany them. Previous similar expeditions included Andalucia, Patagonia, Mallorca in previous years. Cars include XK120, 140, 150 and E types. I now know how to pick the difference between an XK140 and an XK150 at a distance.